Gathered with a number of academics and pastors from around the country, on Catalina Island, at the generosity of Fuller Seminary’s Science and Theology in Emerging Adult Ministries, or STEAM. 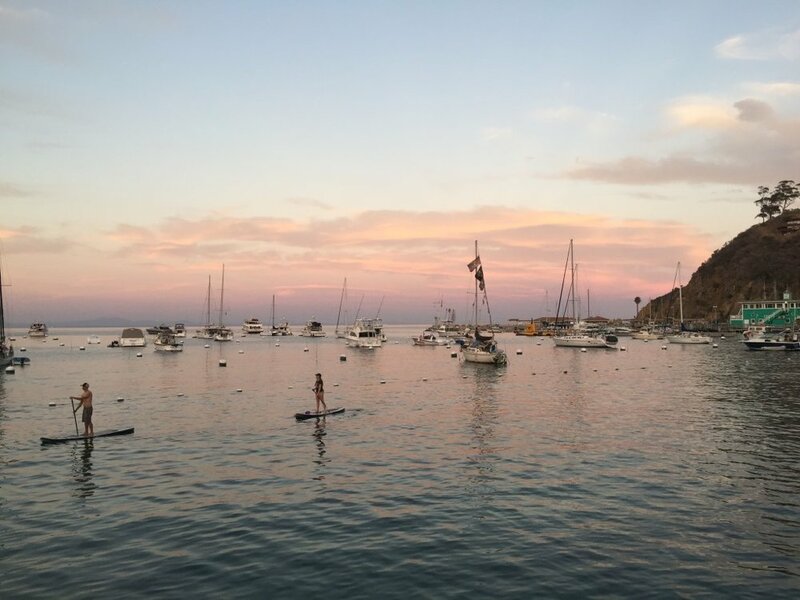 There are some occasional indulgent perks of academic life, and getting to visit Catalina I now count among them: a beautiful island, even though it continues to suffer a severe drought. Home of the Cubs spring training and clubhouse from the early 20th century, the marks of Wrigley’s ambition and largesse are still prominent. But more interesting to me is the gathering of people: a community of scholars (mostly scientists in this case) alongside many in various ministerial roles, who are convinced that there exists a great deficit in sufficient integration of science and theology. And, that this deficit is leading many unnecessarily to leave Christian faith when they encounter the plain consensus on numerous issues of the scientific community, because that deficit failed to give them sufficient resources to think through these apparent challenges. It’s been a joy to sit around the dinner table discussing trans-humanism, organizational psychology, cosmology, and reflecting theologically upon such questions. I am also increasingly convinced that this sort of unnecessary dichotomy between “science” and “faith” is a result much more of (also unnecessary) polarized socio-political divides, as we explored in our Tokens Show in Dayton, Tennessee two summers ago. And on that score, we are most pleased to announce that both STEAM and the John Templeton Foundation have made it possible to distribute that particular episode nationally on public television. More on that soon. But this morning, listening to the president of Fuller Seminary, who says that his father was not a Christian, and in fact had “a special set of neck veins which would pop out when the discussion of religion arose.” His father – and he later discovered, that Jesus too – grew immensely frustrated with the manner in which religious people had a tendency to take big and great things and make them small, to reduce that which is full of wonder and make it trivial. The “kingdom of God,” instead, is meant to expand our vision into the fullness of life and the cosmos, its beauty and wonder. “The sucking force of smallness,” on the other hand – of petty purposes, of trivial concerns, or small questions – is so immense, that there is a great need for expansiveness of heart and mind. The cornerstone of the human project is that the God of all the universe pays attention to us; and the human seeks to pay attention to God. The growth of our human life depends upon the possibility of paying attention to the God who pays attention to us: with the most minute and the most cosmic care. Science, thus, is one of the most basic of human practices: the work of careful, sustained attentiveness.